Friends, I’m beyond thrilled to be sharing these photos with you today. This post is three LONG years in the making. This post contains a lot of emotion, and a very personal journey. 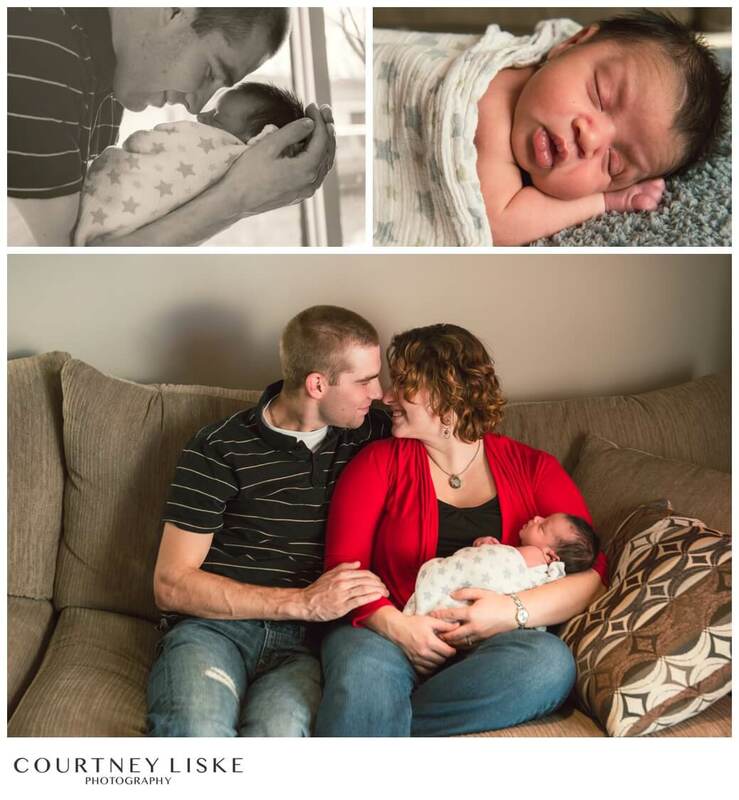 This post is about Charissa & Justin – my sister and brother-in-law and their new son (MY NEPHEW!!! ), Jonah. I consider it an incredible blessing to be invited into families to capture their newborn sessions, but this one is even more incredibly special to me. Allow me to explain. It was a cold Saskatchewan day in early 2013 when I received a message from my sister. She and my brother-in-law, who had been trying to have children for a while, had gotten some test results back. The kind of results that you know could be a possibility, but really hope aren’t right. These results confirmed for them that they would not be able to have children naturally. That day, I went to Charissa & Justin’s house on my lunch break from work, crawled into bed with my sister, and cried with her. I had never felt hurt like that for someone before. and knew that despite the results, they had options, but the news stung so badly, it was hard to see anything beyond. Charissa & Justin weighed their options carefully, and after much prayer and deliberation, in March 2013, decided to pursue adoption from the United States. After doing their research, they found an agency based in Florida and began working on the necessary paperwork, creating an adoption profile for potential birth moms, and fundraising. In early 2014, Charissa & Justin were moved to the ‘Actively Waiting’ list. From that point on, ‘the call’ could come at any time. We waited for that call, trusting that God would send the perfect baby. We waited. And waited. And waited some more. There were good days, there were bad days. There were terrible days, and there were even worse days, but Charissa & Justin remained strong in their belief, that the call was going to come, and that they were going to be parents. In June 2015, the call came. A proposal was sent, and accepted. Someone had chosen them! Baby (a boy) was due July 22. We were so ecstatic, we could hardly contain our joy! Preparations rapidly kicked off to prepare for his arrival. This was it- they were going to get their baby! July came, and each day we waited in anticipation- hoping that today was ‘the day’. Each phone call sent them sprinting for the phone. July came and went, with the hope that their birth mother had just gone overdue, as baby was just not quite ready yet. In August, another call came. But again, not the kind we were hoping for. The agency informed them that they had lost touch with the birth mother, that they thought she delivered at another hospital, and seemed she had decided to keep the baby. Needless to say, there were no words for the type of pain that ensued. While they (and us as their family) were heartbroken, we could only hope and pray that the right decision was made for that baby. October 22, another call. Another match. A baby boy, due the end of November. With a little hesitation, but great amounts of faith, they accepted, and again started their baby countdown. The pain of the failed match still stung, and was a bit hard to see past sometimes, but they persevered and accepted a new match, not knowing what the wait would look like this time. 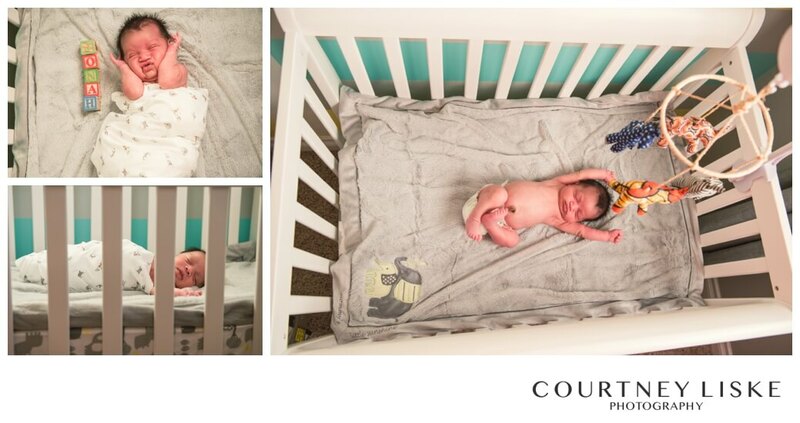 Turns out the wait wasn’t as long as anticipated… On October 30, the birth mother went into the hospital for some pain, and it was decided that they would keep her and baby in for monitoring, just to be safe. They later decided that it would be best to induce her on November 6, as they thought baby was measuring a bit large. That didn’t leave much time for travel preparations to be made, and so the flurry of activity began! Charissa flew out on November 5, so she could be there with the birth mother the day beforehand. Justin, who had been in a training seminar in Pennsylvania, flew out the morning of November 6, and was there in time as things got started. After a very long and emotional weekend (who knew 2 days could feel like MONTHS! ), the paperwork was completed, and FINALLY he was theirs- and OURS!!!! The first picture we received of the three of them together after the paperwork was completed is one of the most beautiful and treasured photos I’ve ever seen- hospital gowns and all. That was the photo I had been waiting three long years to see, and it was absolutely perfect. 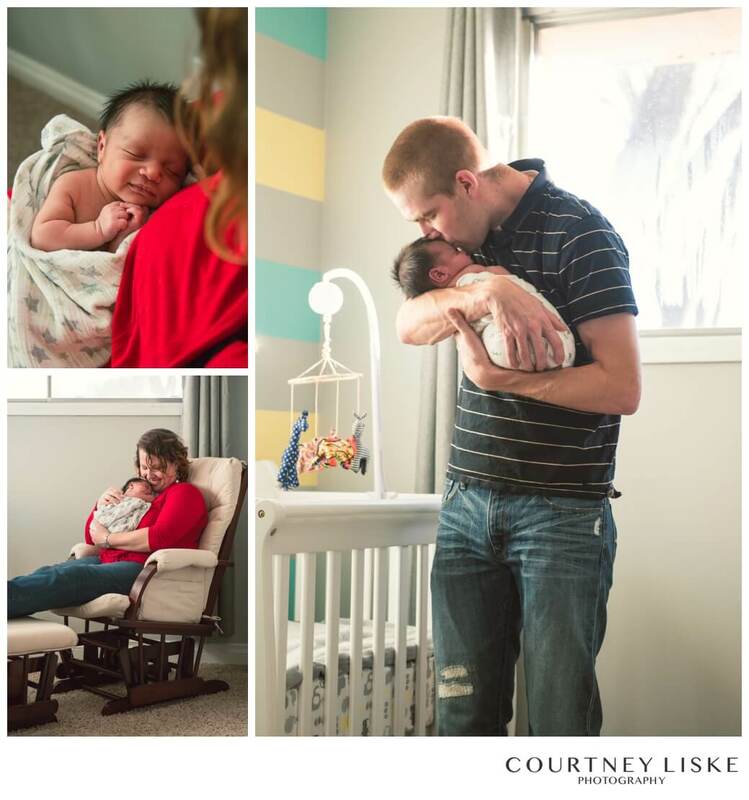 I can’t say I have ever cried at a newborn session before, but as I got to observe Charissa & Justin loving their son in the nursery they had waited so long to fill, the tears flowed down my face behind my camera. Not tears of sadness for what we now think of as “labour pains”, but tears of pure joy and gratitude that our prayers were answered. Jonah, we have been waiting a very long time to meet you. We have prayed for your health and safety for many years, and those prayers were resoundingly answered. We have dreamt of this moment for what seems like forever. We rejoice with your mommy and daddy as they spend their days and nights wrapped around your every coo, whole body stretch, or little smirk that passes across your face. I will never forget the moment I first saw your mom cradle you in her arms. Or your dad trying to coax out a tiny burp after your bottle. You are so incredibly loved, and our hearts are beyond full to have welcomed you as a part of our family. So happy for this couple <3 Congrats! So good, and we are so grateful that He gives us those glimpses into how amazing He is! What an excellent post! You’re a gifted writer and photographer! Rejoicing with you in the miracle of your beautiful baby boy ? Praising the Lord for the gift of Love He gave your family.